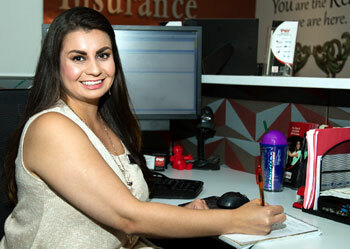 Maricruz has been a Customer Service Representative (CSR) for PVI since 2012. Prior to that, she graduated from Cal State San Marcos with a Bachelor's Degree in Literature and Writing Studies. Although Maricruz is one of the newer members of PVI, she immediately fit right in and was one of the Team! In fact, Maricruz could qualify as Team Cheerleader! She has a way about her that just gets people excited. Since she typically is the first point of contact for our office, who better to greet our current and potential customers? As Point Person, Maricruz excels at having a wide range of knowledge about insurance in general, and PVI in particular. Whether you need answers on Personal Lines, Commercial Lines, Health Insurance or even the DMV, she's got you covered. Perhaps most importantly though, is her ability to remain calm in stressful situations while utilizing her strong problem-solving skills, the mark of an excellent CSR! Of course, being bilingual is an added bonus! One of the first things you notice when talking with Maricruz is that she loves to help! (Another valuable asset in a CSR!) 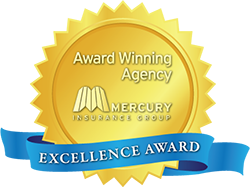 She knows that insurance can be a very important, yet touchy subject for some people, so establishing a relationship built on trust and respect is vital. She loves the feeling of accomplishment when customers validate her efforts by telling her they know they are in good hands. Her favorite part is when a customer says, "Thank you so much, I will refer you to all of my friends for making it such a great experience!" Now that is something worth cheering about! But many PVI customers go beyond the verbal appreciation. Maricruz routinely receives more tangible recognition for her efforts, including flowers, candy, fruit and even remembering her birthday. One customer was so appreciative of Maricruz's help that she was the recipient of not one, but three beautiful plants to grace the office. With validation like that, you know she is doing something right, but with Maricruz it also just comes naturally. Watching her in action it is abundantly clear that, for her, enjoying what she does is a way of life, not just a job! Speaking with Maricruz over the phone is a pleasure, but meeting her is person is a real treat. In fact, Maricruz says, "I love our walk-in business!" She appreciates the opportunity to laugh and joke and enjoy PVI customers. She says, "The great attitude of our customers makes me feel special." I'm sure the customers would say it's the other way around! People are Maricruz's passion, including, of course, her family! She loves spending time together at the beach, hiking and watching sports (football, baseball, basketball - in that order), and especially watching her boyfriend play softball. Although currently a resident of Escondido, Maricruz grew up in Valley Center and she still loves it here, in particular how warm and friendly everyone is to each other. Working at PVI allows her to maintain her longtime relationships, as well as continue to be active in the community, supporting local events and businesses. If you haven't yet had a chance to meet Maricruz, just give her a call. Or better yet, stop by the PVI office and meet her in person. No doubt, you'll become part of her cheering section!